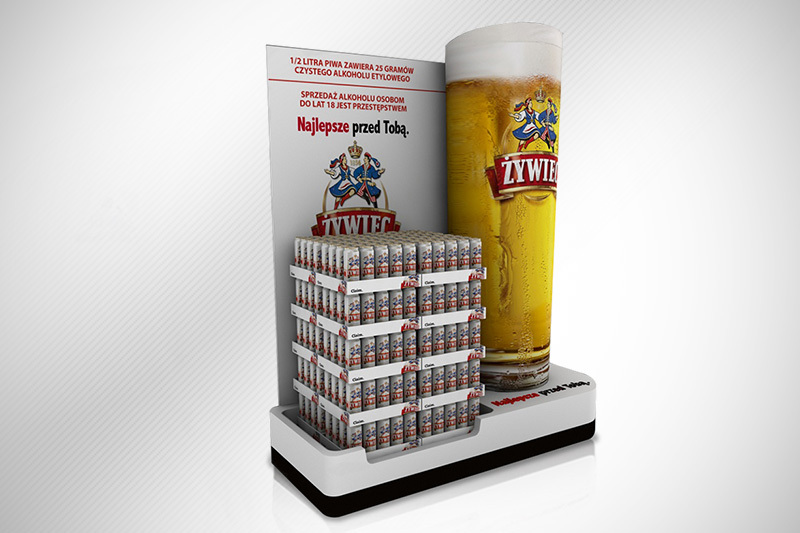 We were asked to design and manufacture a full system of POP displays for Zywiec Brewery. The project included a series of pallet and floor displays. Zywiec Brewery has delivered great taste since 1856 and our goal was to emphasize the heritage that they worked so diligently to cultivate. Through innovative designs we developed Point-of Purchase displays that highlighted the unique qualities of Zywiec Brewery while making their products more competitive in the market.